What's The Craziest Thing You've Bought While Drunk? 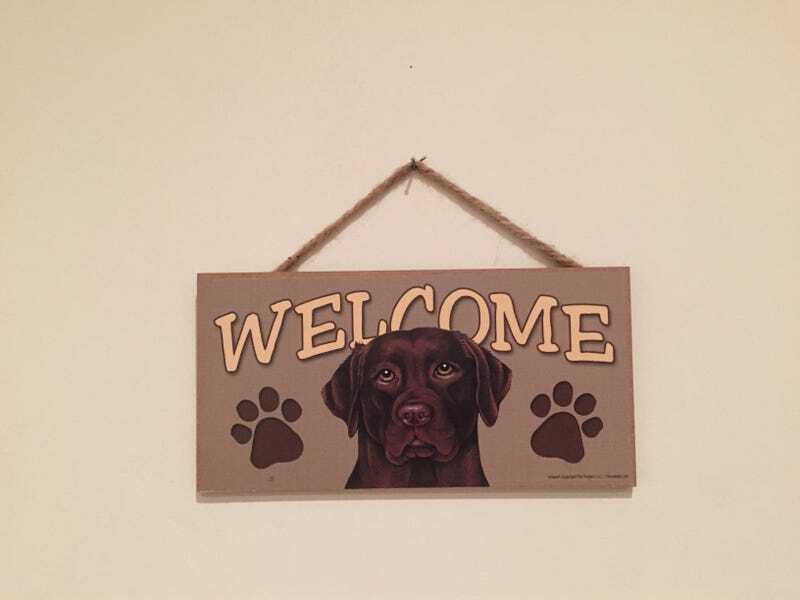 What do an electronic megaphone, a case of Prosecco, and a “Welcome” sign featuring a pensive chocolate lab (pictured above) have in common? They’re all things I’ve purchased while hammered. Now, let us commiserate: Tell us your most outlandish drunk purchase. There is actually now a god-forsaken app that encourages you to shop when you’re blitzed by suggesting random things one might buy late on a Saturday night, as if you needed more help in that regard. I have a male friend who once drunkenly purchased every single Katy Perry song on iTunes, as well as a giant beanbag chair. Another once got shitfaced in Lubbock, Texas, and ended up buying a janky old fishing boat. A pair of female college friends recently copped to buying Apple chewing-tobacco pouches and Bubblicious gum in a similar state. You get the picture. Now tell us about your most embarrassing forays into drunk shopping.